The Go Direct Electrode Amplifier is a mV and pH amplifier that connects to Vernier electrodes and compatible third-party BNC electrodes. It connects via Bluetooth® wireless technology or via USB to your device. The Go Direct Electrode Amplifier offers an affordable way to expand your experiment options. Its BNC connector provides the flexibility to attach and remove a Vernier electrode, such as the pH Electrode, Flat pH Electrode, ORP Electrode, ISE electrode, or a third-party electrode. You can explore pH one day and potassium concentrations the next. Because the Go Direct Electrode Amplifier is compatible with third-party electrodes, students learn consistent calibration and handling techniques on one amplifier using one software program. When electrodes expire or become damaged you need only replace the electrode—lowering your overall equipment costs. 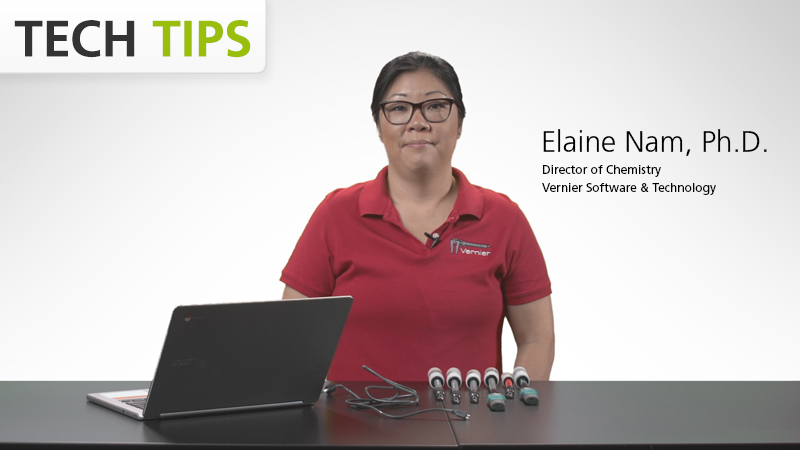 Explore the differences between the Go Direct® Electrode Amplifier and the Go Direct Ion-Selective Electrode Amplifier with one of our resident chemists, Elaine Nam, Ph.D.